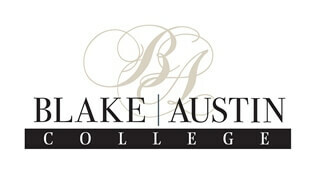 Blake Austin College is nationally accredited and represents hands-on skills and licenses for all programs. Blake Austin College, Beauty and Wellness Academy was chosen by CBS and The CW Televisions Networks as the Northern California’s host for America’s Next Top Model Casting Call. Financial aid is available to students that qualify and scholarships are available. The Blake Austin College Administrative Medical Assistant program prepares you for your career with a range of skills you need to succeed in a variety of healthcare-related careers. You will become fully trained in the duties necessary for working as an administrative assistant and/or receptionist for physicians, health services administrators and other professionals. As an Administrative Medical Assisting Student, your education includes complete and in-depth training on the features and functionality of the Microsoft Office System. This comprehensive training in Microsoft Word, Excel, PowerPoint and Outlook will prepare you to be qualified to sit for the Microsoft Office Specialist (MOS) industry testing and certification. Your Blake Austin College education will provide you with the ability to perform a variety of tasks such as business and medical communications, principles of health services operations, public relations, scheduling, medical filing, records management, report preparation, office equipment, protocol, medical terminology, medical forms, medical and legal business procedures, professional standards and legal requirements. Your training would also benefit a non-medical professional front office or support position. Blake Austin College Administrative Medical Assistant professionals are currently sought after for employment in physicians’ offices, medical centers, clinics, nursing homes, ambulatory care centers, medical billing offices, hospitals and other settings. For more information on Program Cost, Graduation and Placement rates please click here. Blake Austin College is accredited by the Council on Occupational Education (COE).The Council on Occupational Education (COE), originally founded in 1971 as a regional accrediting agency of the Southern Association of Colleges and Schools, is the successor to the Commission on Occupational Education Institutions (COEI). By submitting this form, I expressly consent to be contacted by Blake Austin College with materials for educational services via telephone or text message. I understand that the calls and messages may be transmitted using an auto dialing system.